There was Powerball ticket sold in New Hampshire that matched all numbers for Saturday’s drawing. The jackpot was worth $487 million. New Hampshire lottery officials told WBZ-TV someone bought the winning ticket at the local Hannaford supermarket in Raymond, a southern New Hampshire town of about 10,000. It was a quick pick ticket that was purchased at a self-service vending station inside the store. 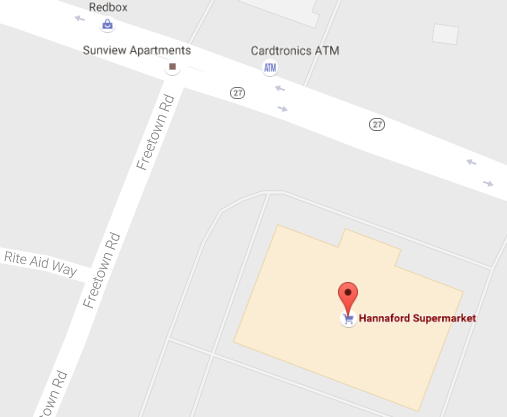 This Hannaford store will get $75,000 for selling the winning ticket. Powerball winning numbers for Saturday, July 30, 2016 are 11, 17, 21, 23, 32. The Powerball number is 05. There were ten tickets that won the $1 Million Match 5 prize. They were from CA, FL, GA, NE, NH, PA, SC, TN, WA and WV. There was one tickets that added the Power Play to win $2 million. It was from the State of Pennsylvania. The winner, who has a full year to come forward, has the option of taking the $487 million paid out over the next 30 years or a lump sum cash prize of $330.6 million. Next Estimated jackpot for Wednesday’s drawing is $40 million. This is the third Powerball jackpot in 2016 to crack the list of the 10 largest U.S. lottery prizes of all time. The jackpot is number eight on the list of biggest lottery prizes ever in the United States. It had been growing since May 11, with 22 consecutive drawings failing to produce a grand prize winner.